movingpictures, Stuck_in_a_dream, Toxin and 37 others like this. Man that thing is nasty! HNGD I'm love the gradient fade! Looks awesome. LOVE that aluminum Horizon. 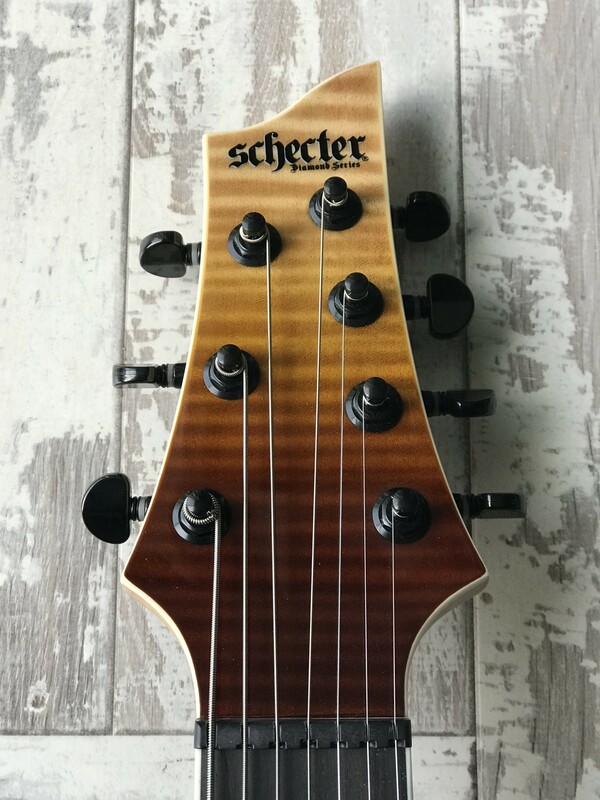 I'm not much of a Schecter guy but this one is cool! HNGD! Now take that hair off the 14th fret. wow, looks really really good! That is a true beauty, dude! Glad it didn't end up sitting there to become hell to deal with next week for you. I've been looking around at these and I think the pulled tone is passive version on the Fishmans. Really eager to hear some samples and see how it holds up for you through the honey moon phase. I know you were putting a lot of thought into the nut widths on the Horizon 7s, think the thinner neck ended up making that less of a thing? That’s my Page Hamilton Horizon. The brushed aluminum finish is one of the coolest ever. Couldn’t remember his name at the time. I saw Helmet years ago and got destroyed in the mosh pit and lover ever minute of it. Yeah, I was worried it was going to set all weekend on a truck. Yeah I liked the Horizon NT-7 because it had the more narrow 45mm nut. 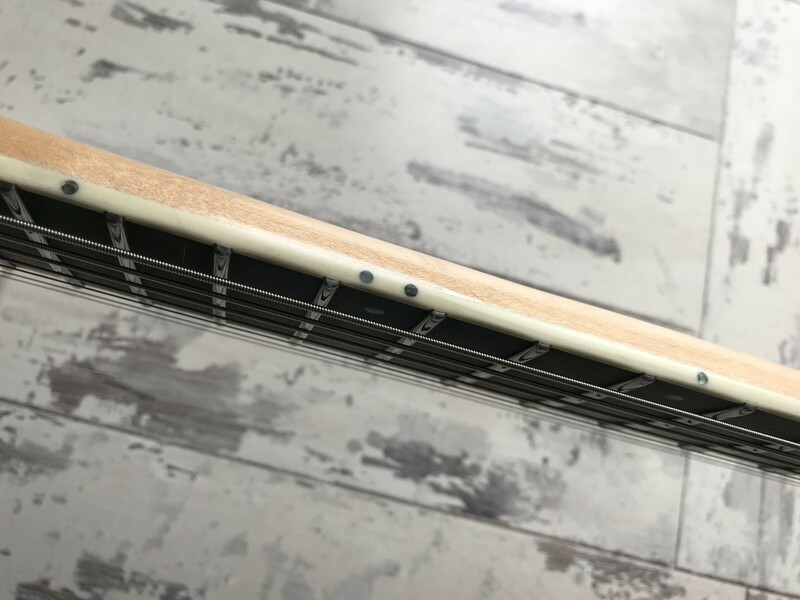 With that and the standard thin u profile it was almost like playing a 6 string. I picked this up after not playing a 7 for about 6 months and had no issues though. I think it being a thinner profile helps with the 48mm nut. That’s something that I had to get used to with the Carvin. Ha, I bet. Got to love some old school Helmet albums. Schecters have really become some of my favorite guitars. My first guitar was an Omen 6 and it's still one of the best 300 dollar guitars I've ever played. 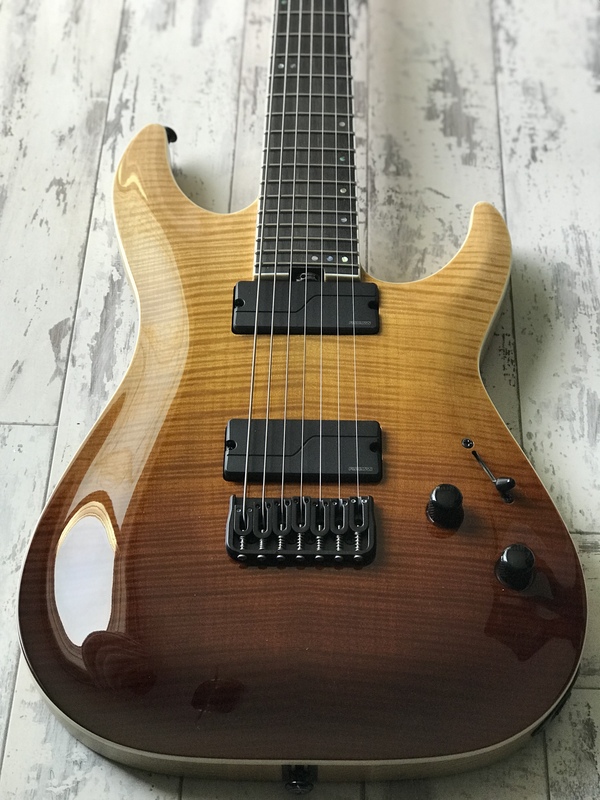 I recently bought a 7 string banshee and a Banshee FR and they're both just fantastic guitars build quality wise. 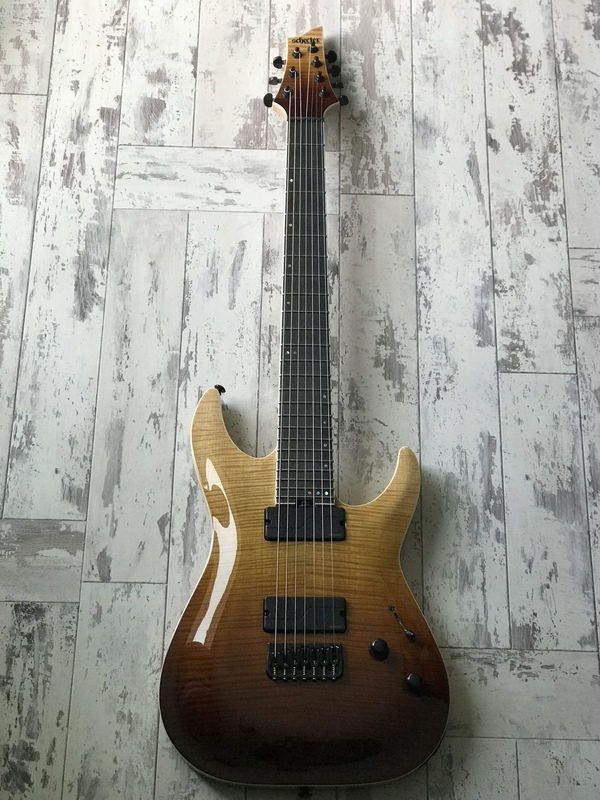 Especially after how disappointing my ibanez iron label turned out being. HNGD! JD27 and AkiraSpectrum like this. 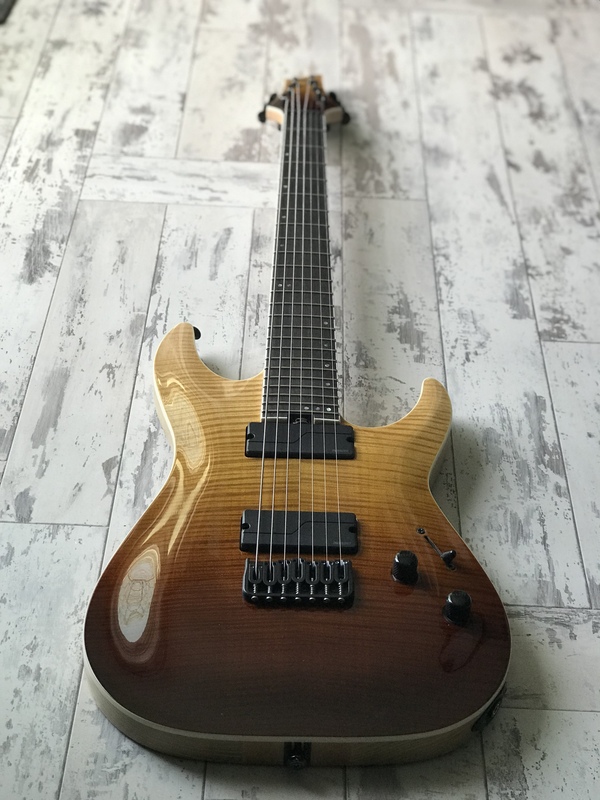 I was the opposite, the first schecter I ever had was so crap that I haven't touched one in the 10 years since. 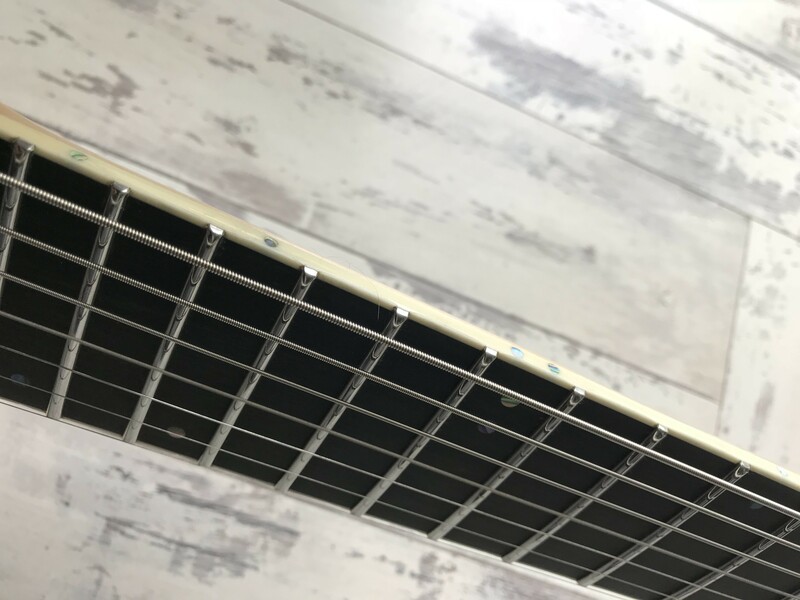 The scarf joint near the headstock was coming apart, neck pocket cracked pretty aggressively, the hissing and buzzing when plugged into an amp was louder than the actual notes being played through it, the list goes on. It made me stereotype all schecters as garbage. Now recently with models like this, the Apocalypse, and KM models now I find myself GASing hard to try one again. Unfortunately for me none of these models are available to try even remotely nearby, I have to rely on forums like this to read reviews. I like this one enough that I might grab a 6 in the Black Fade. Nice guitar man! I ordered the FR version last week and should receive it anytime now. Frick man, that finish is something beautiful. 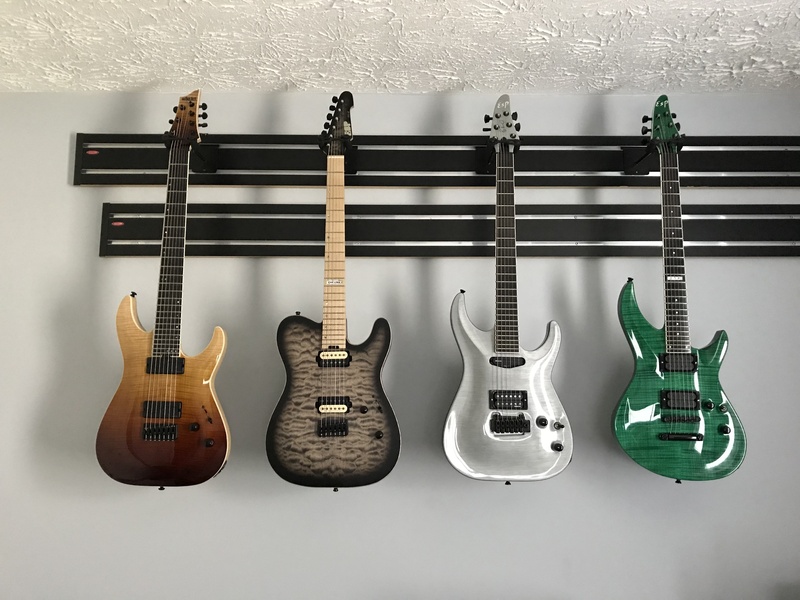 From a Schecter fanatic to hopefully a new born Schecter fan, HNGD! 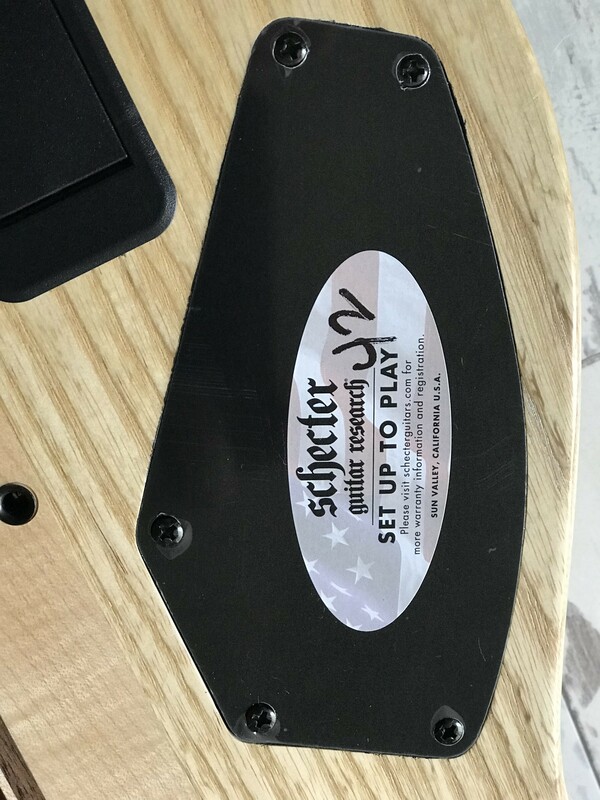 Looks like you found it in the desert, lovely piece of wood Glad schecter stopped their tom bridges. Hardtail / fixedbridge is a blees, i have damien elite 7 MK.2 and it rocks but its 40% of yer price. You have impeccable taste. 10/10 would rock it all day and all night. HNGD! HNGD! One question, how bright u think it is, compared say to a bolt-on.? 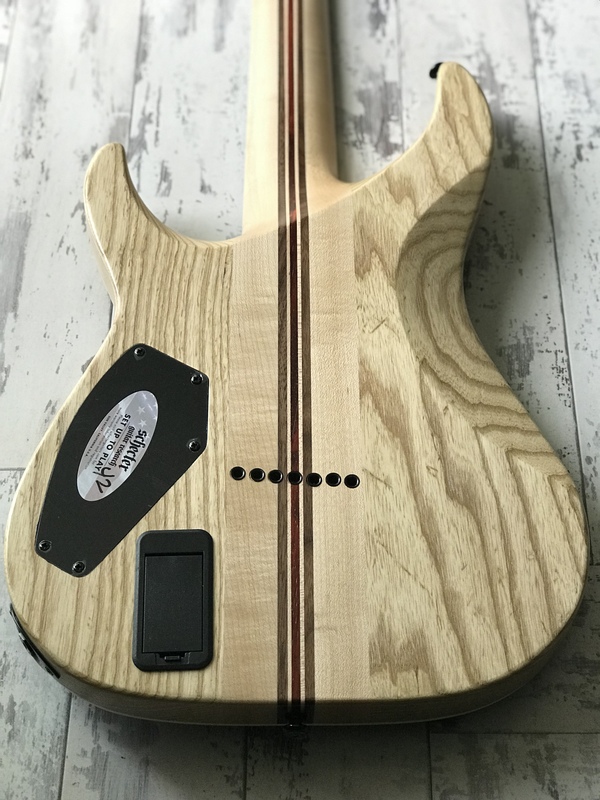 I'm tempted to get one but afraid neck thru maple construction may render it too bright. I don’t find it too bright. 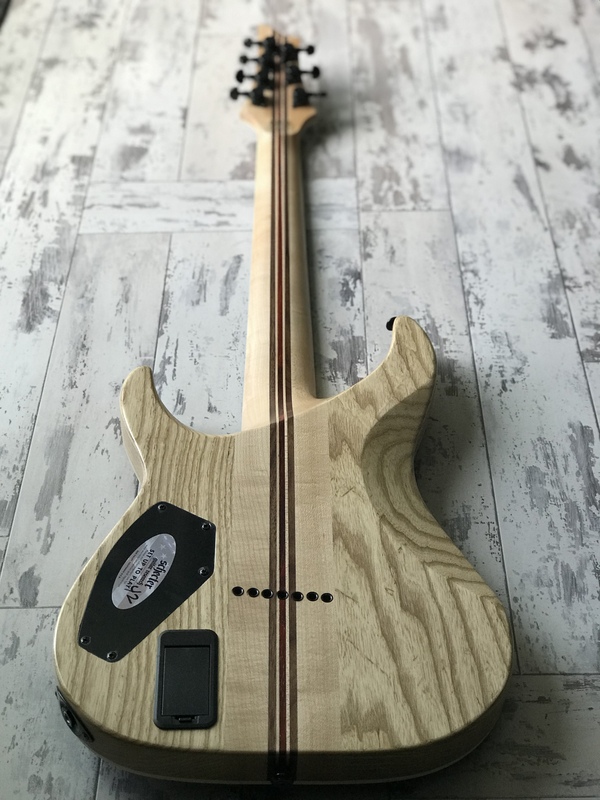 The swamp ash body seems to complement the Maple well, it’s fairly well balanced actually. feraledge and Stuck_in_a_dream like this.